The trolley crosses the bridge in Landing, heading toward a steamboat dock and the Landing Channel. 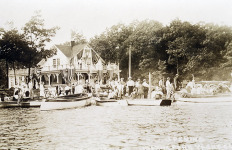 In its early years, Lake Hopatcong was a resort most visitors arrived at via the Central Railroad of New Jersey at Nolan’s Point or the Lackawanna Railroad at Landing. In the 1920s and 1930s, the automobile began to replace the train as the main means of traveling to the lake. 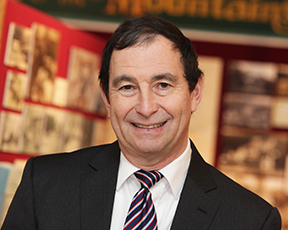 However, there was an intermediate period when thousands arrived at the lake by trolley. A trolley sits on the tracks in Landing across from Lackawanna Station building. over relatively short distances. In the 1910s, the street railway industry was the fifth largest industry in the United States, employing well over 100,000 people nationwide. Chartered in 1899, the Morris County Traction Company introduced trolleys to northwestern New Jersey. At its peak, the company’s service stretched from Newark and Elizabeth to Lake Hopatcong, covering some 50 miles of tracks across the state. 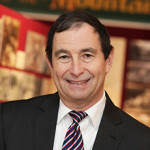 The first section built was along Blackwell Street in Dover in 1904. 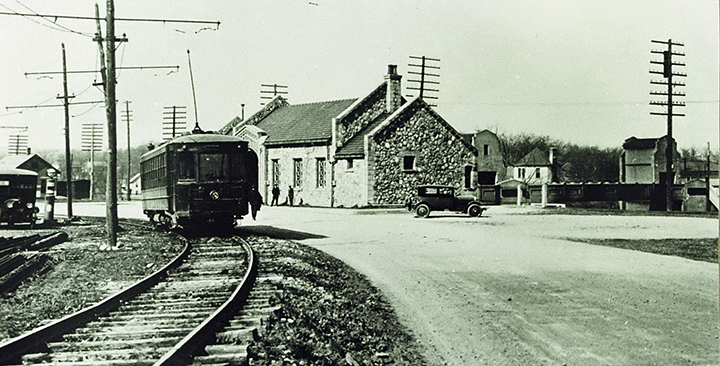 Service began between Dover and Wharton that same year, and soon expanded to Rockaway. 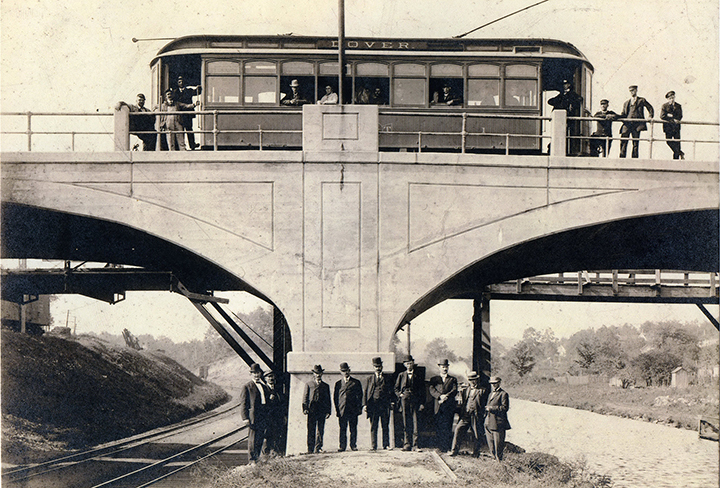 The trolley line headed west from Dover through Wharton, Mine Hill, Kenvil, Succasunna, and Ledgewood, reaching Landing in 1908. 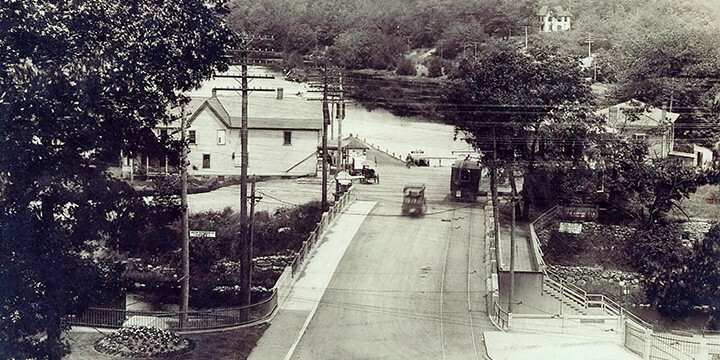 At Landing, the trolley passed across the street from the Lackawanna Railroad station before crossing over the railroad tracks (on the same bridge which passes over the railroad at Landing today) and ending its route by the steamboat dock at the foot of Lake Hopatcong (near today’s Landing traffic light). Morris County Traction Company personnel celebrate opening of the trolley line to Landing in 1908. Like trolley lines throughout America, the Morris County Traction Company was looking for ways to increase usage, particularly on weekends. Nationwide, many amusement parks and recreational facilities were established at the end of trolley lines for just this reason. 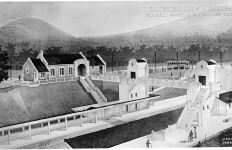 The Morris County Traction Company found its amusement destination by expanding its service from Landing to a beach which had been constructed at Bertrand Island. 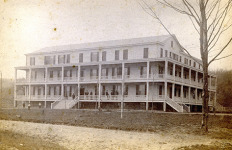 Trolley service began to Bertrand Island on Decoration Day (now Memorial Day) in 1910, making the beach accessible to large numbers of people in northern New Jersey. While not speedy by today’s standards, the trolley provided cheap transportation for the masses. The trip from Morristown to Bertrand Island took about two hours and cost 35 cents for a round-trip ticket. 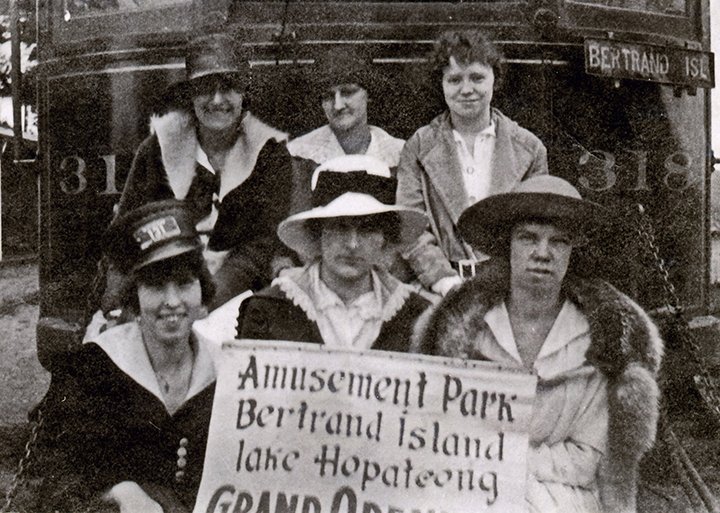 By connecting to the beach at Bertrand Island, the Morris County Traction Company trolley set in motion the chain of events which would result in the development of Bertrand Island Amusement Park. As travelers began arriving by trolley, food stands and amusements were built near the beach. A large open-air dance pavilion, carousel and other attractions soon followed. 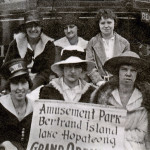 By 1917, the beach at Bertrand Island included a shooting range, water chute and diving float, and its evolution to a full-scale amusement park had begun. 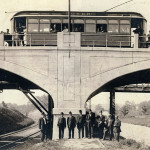 The trolley remained a popular link to Bertrand Island for some 15 years, although service was suspended at Landing during World War I so that the trolley would not interfere with trains bound for Atlas Powder Company, an explosives manufacturer located where Shore Hills sits today. Passengers get ready to board the trolley heading to Bertrand Island Park. Following World War I, trolley service began to suffer across the United States as Americans fell in love with gasoline powered vehicles. 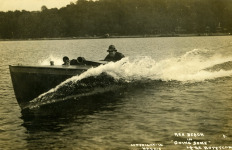 The Morris County Traction Company ended service to Lake Hopatcong in 1926. The last trolley car ran over the tracks from Dover to Wharton on January 15, 1928 as part of a ceremony which included blowing horns, ringing gongs, and trolley whistles. A fleet of new buses followed, heralding passage into a new era. Remains of the Morris County Traction Company’s trolley line have largely disappeared from the area. 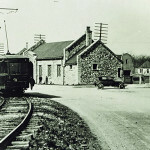 In the 1960s and 1970s the tracks still popped through the street pavement in Wharton, Succasunna and other local towns. While the actual track may no longer show itself, the raised track bed can still be clearly seen each winter at the lake when traveling along Mount Arlington Boulevard between Bertrand Island and Auriemma Court. In Morris Township, a two-mile portion of the former trolley line serves as a bike and walking trail called the Traction Line Recreation Trail, under the supervision of the Morris County Park System Commission. In Mountain Lakes, the old trolley route is a pleasant walking path on the west side of the Boulevard. Finally, the old trolley car barn in Dover still survives today on East Blackwell Street as the garage for the Lakeland Bus Company. Love the historical stories, and especially the pictures, about the lake and the surrounding area. Hope you continue to do more of these stories with photos. Would like to see more photos of the Lake homes and hear more about the families who’ve been on the lake for generations.